There are hundreds of applications out there for movie lovers on iPhone. Some of them are fantastic, and some leave much to be desired. For me, a movie app needs to have a few key features or I will quickly move on to something better. It needs to give me movie reviews, showtimes, trailers, and DVD releases. If an app does these things well I will be interested. If it performs these functions, along with some other awesome stuff, then I will be really impressed. Flixster is a prime example of a movie app that does all of the important functions along with some bonuses. Not only does it do these functions, but it does them impressively well. It is easy to navigate, loads fast, and has a clean interface that is free of clutter and unnecessary distractions. It has been around for almost as long as the App Store, and its quality has allowed it to stand the test of time. Of course, you will need to go to the App Store and download the free application. Flixster integrates with Facebook, so you will want to take a couple of seconds to do that. 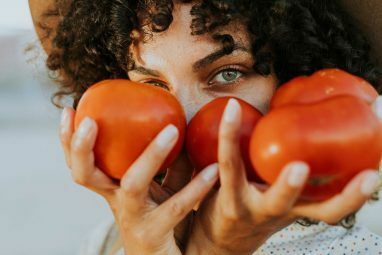 Linking offers plenty of social benefits and even grants some freebies, which I will get to in the “My Movies” section. If you want the app to be able to locate movie theaters in your area, make sure to grant it access to your location. As you can probably guess, home is the section the app will open when you first launch it. In here you will find featured content such as movie news and hot new trailers. If you like to keep up with the latest happenings in the movie industry, you will love this section. If you link a Netflix account to Flixster, Home is also where you can manage your queue. You can also use Home to play fun movie quizzes and view the top actors. At the very bottom of the Home section you will see the app’s settings. In here you can change your linked accounts, choose where the movie ratings come from, allow and deny location services, and alter the quality of movie previews. Box Office is the place in the app to find out which movies are the most popular. You can see hot movies that are opening this week, which movies are currently making the most money in theaters and see other movies that are not quite at the top, but are still worth a look. If you click “Upcoming” on the top of the screen, you can see the movies that are releasing soon and when they are scheduled to hit theaters. All movies are sorted by release date, starting with the soonest. There are tons of movies coming out all the time, and remembering when can be nearly impossible. This app does well to help eliminate that problem. This section links with an UltraViolet account, and with it, you can actually get some free movies to watch on your device. This is where linking with Facebook comes in handy. You get one free movie just for having the app. It is randomly chosen for you, but it’s free, so you cannot really complain. You can also earn free movies by inviting friends to the app, adding movies to your lists, and rating movies. This is where you will come to find out where and when a movie is playing in your area. You can set certain theaters as your favorites, so you can get to them quickly and easily. You can also change the location, so if you know you are traveling and want to see what is playing at your destination, you can do that with a couple of taps. You can view the theaters in a list, which is sorted by distance away from your current location, or on a map. Once you see a theater you like, tap it, and it will take you to a screen where you can see all the movies playing there and when they are showing. It also has Yelp integration so it will find restaurants around the theater. This helps you make your date night complete. If you click on a particular movie, the app will allow you to check in with GetGlue, read critics reviews, see the cast and crew and more. This app really is a one stop shop for all things movie related. The last section of Flixster is called DVD. In here you can find release dates and information on movies that are ready to hit the small screen. You can view DVDs that were just released and ones that are hitting store shelves soon. You can also browse DVDs based on genre. 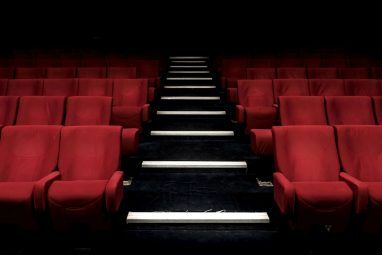 Just like with theaters, clicking on a movie in the DVD section will give you more information on the film. You can even add it to your Netflix Queue with a single click, as long as you have linked your Netlfix account. 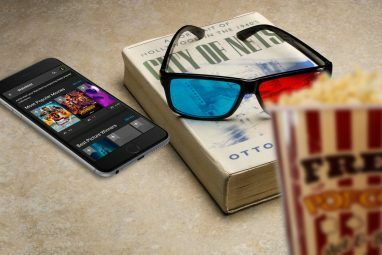 Flixster is a must-have app for movie buffs. It is easy to use and so full of information and fun features that it is easy for me to recommend it to anyone. Even if you are a casual movie watcher, this app is worth having installed on your iPhone. Seriously, go download it now and thank me later! ouch..i use android...don't like iphone! You have listed this as an IOS app- this is also available for Android and appears to be identical. I have been using this app for several months now, works great. Iim going to download this app in the hopes that i get Pay it Forward like the person in the picture, presumably you. did.